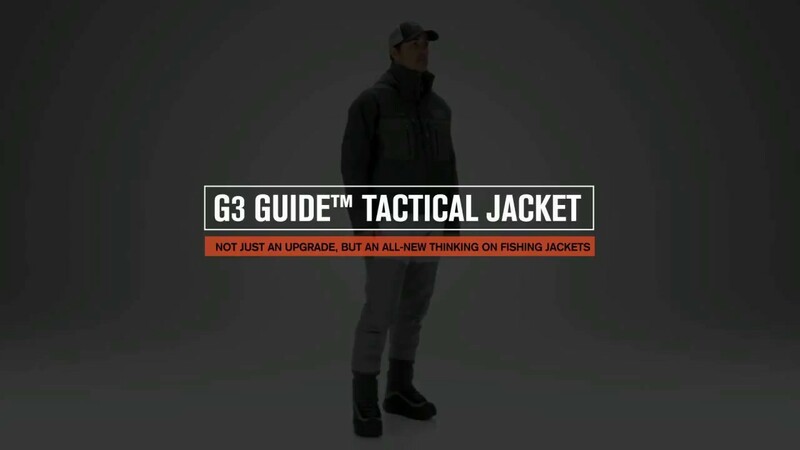 About the G3 Guide Tactical Fishing Jacket Why GORE-TEX®? I have an earlier version of the G3 jacket and love it. It stops the rain and wind, in the winter when it is 10-15 Deg F all I need is to add a couple thin layers of insulation and I am warm all day. Great range of motion and I don't even notice the jacket when casting. The only problem I see is that the hood does not store very well. I wear a large brim Simms Gore-Tex hat so I do not use the hood and when I try to roll it up and store it, it feels like having a tire around my neck. It also forces the collar so when I try to look down as I get items out of pockets the collar is simply stuffed in my face. It would be nice if the hood was designed so it could be completely removed instead of being rolled up or a better storage pocket low on the shoulders. I actually chose to cut the hood completely off and have no regrets. I was looking forward to receiving this jacket from Simms. However, the only question I had, "Is the size consistent with a G3 guide jacket?" Because the jacket is new for 2018, none of the local fishing stores carried the jacket to confim fit. 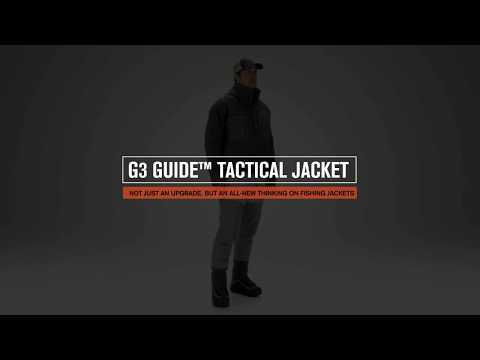 One would think the fit would be similar, but the G3 Tactical is larger then the G3 guide jacket. My thinking is the designer made the shell larger to accommodate the fishing gear people would stuff into the interior pockets? The pockets are huge, even overlap. I carry my gear in a backpack and don't need large exterior or interior pockets, but overall Simms missed the mark on this one. Fortunately, my brother weighs 240# and it fit him perfectly, so he bought it. For size comparison, I am 6' and 215#. Caution on size?